Hey everyone Happy Holidays. 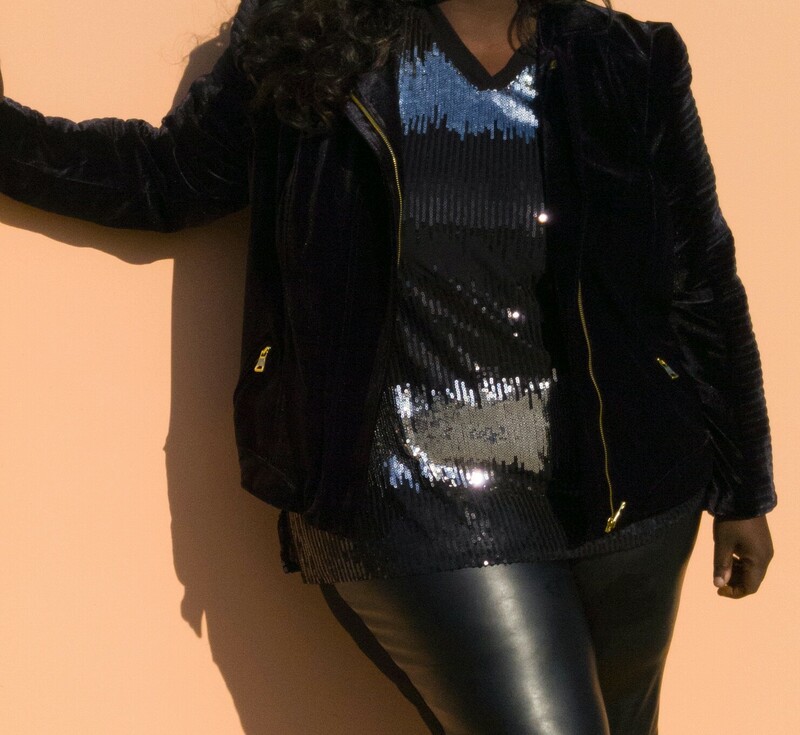 I'm popping in the share with you this amazing holiday look from Macy's. For a while now I've realized that International Concepts is all about the glam. They really know how to make a girl feel glamorous! 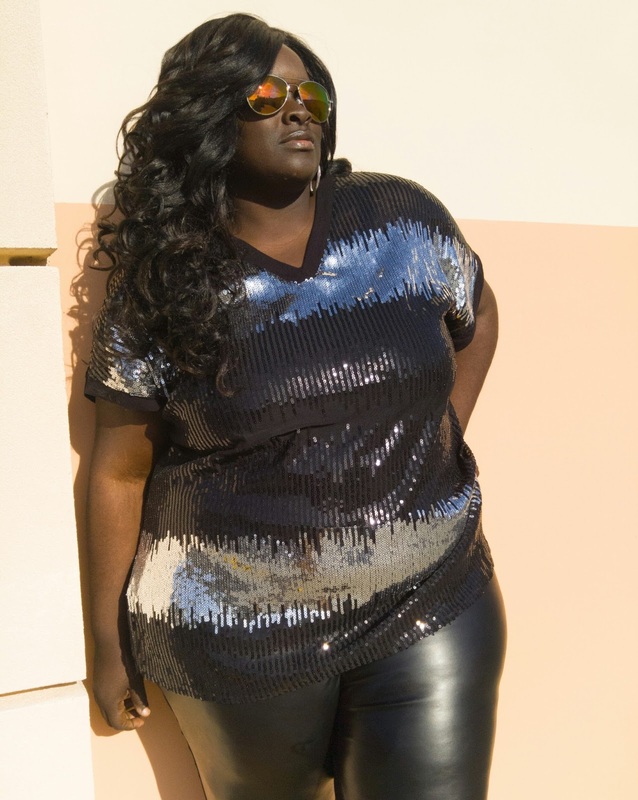 I seriously love the top the silver and black sequins are balanced great. 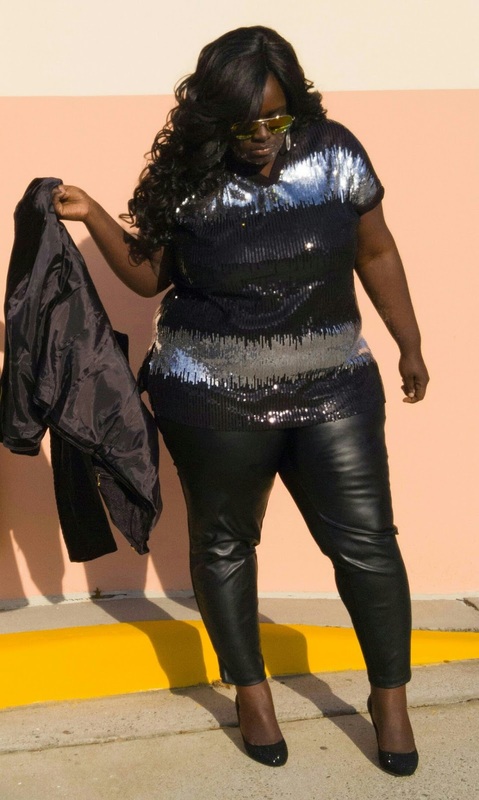 The faux leather leggings paired with the rhinestone pumps makes up a bit of holiday magic, when combined. If I do say so myself. And I can't leave out the Velvet black moto jacket this jacket gives me life. It also comes in a fabulous green. And you know what they say if you find something you love you should get it in every color. If you haven't found your New Year's look yet or still have some holiday parties coming up be sure to check out the International Concepts brand at Macy's I'm sure they'll have something to glam you up for any occasion. Until next time don't be afraid to sparkle and shine, darling!